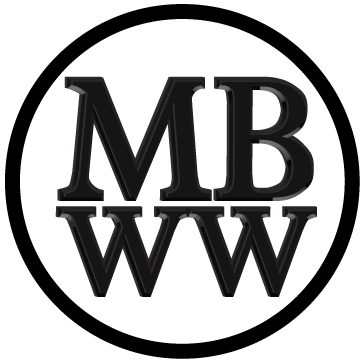 There is a photography passion inside everybody who owns a smartphone these days because almost on a daily basis, he or she would take selfie, scenery photos, group shots / wefie or even foodie shots for facebook, instagram or any other social media platform. 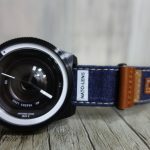 When I first reviewed Automatic Vintage Lens in 2016, it had already wow’ed me with their interesting watch design as this wasn’t any common in the microbrand market. 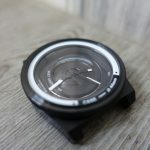 Then in 2018 I was lucky enough to be invited to review their version 2 of Automatic Vintage Lens and it was clearly a better colour combination and a few minor upgrades as compared to the first version. 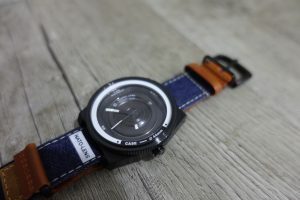 Case : It’s slightly smaller as compared to AVL & AVL2, but I am guessing the reason why the reduction in size is to also accommodate smaller wrist especially for the females. 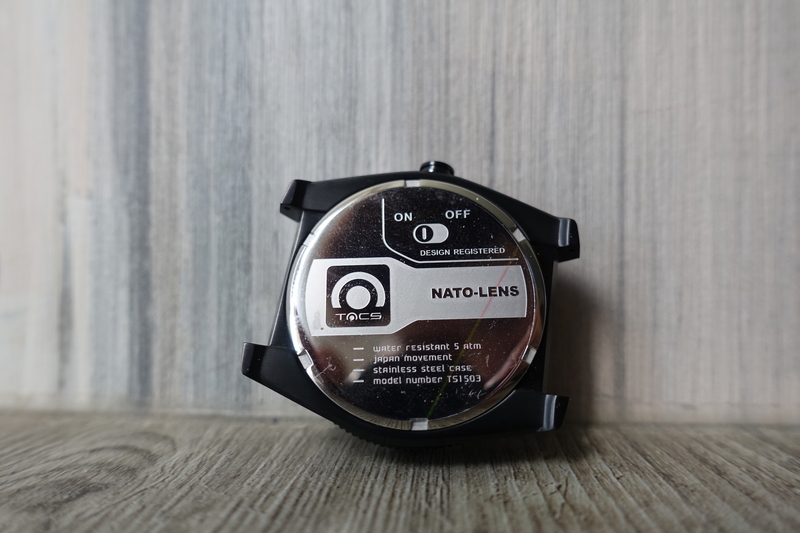 In photography terminology, I would say AVL is DSLR, AVL2 is mirrorless camera and Nato Lens is point & shoot. The case comes only in black & white combination which gives it an old school film camera style. 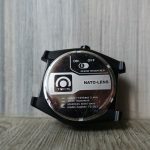 The caseback has the engraving of an on/off button with additional details about the watch – model, material, water resistant and movement. 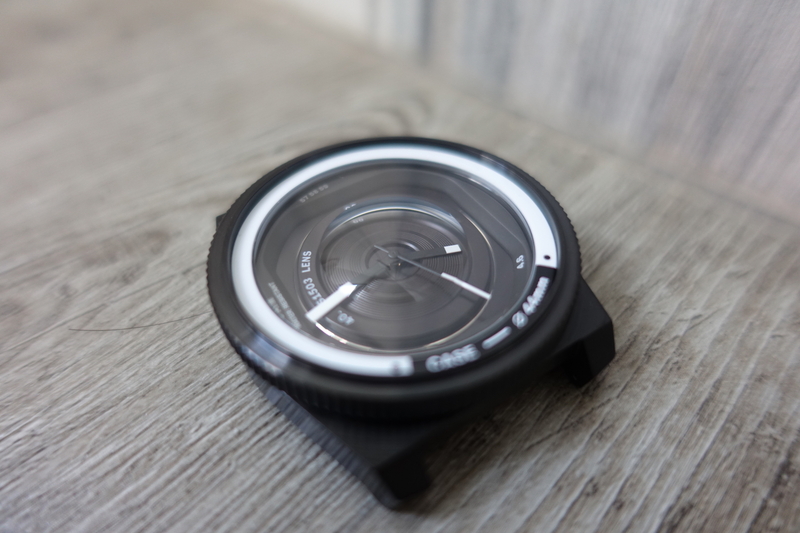 The uni-directional rotating bezel was designed to function like a focus ring of a camera and how surprisingly smooth it is (similar to both AVL & AVL2). 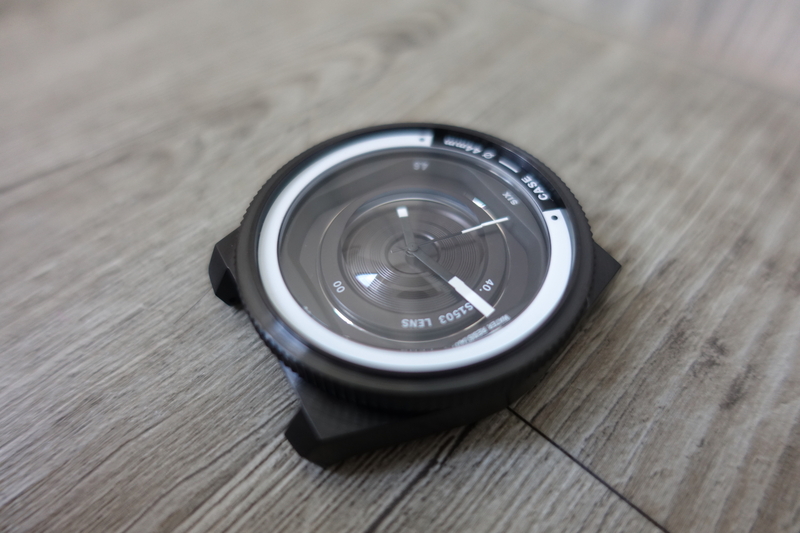 Dial : Similarly to AVL and AVL2, it comes in 3 layers and with the same design concept of a fish-eye lens. 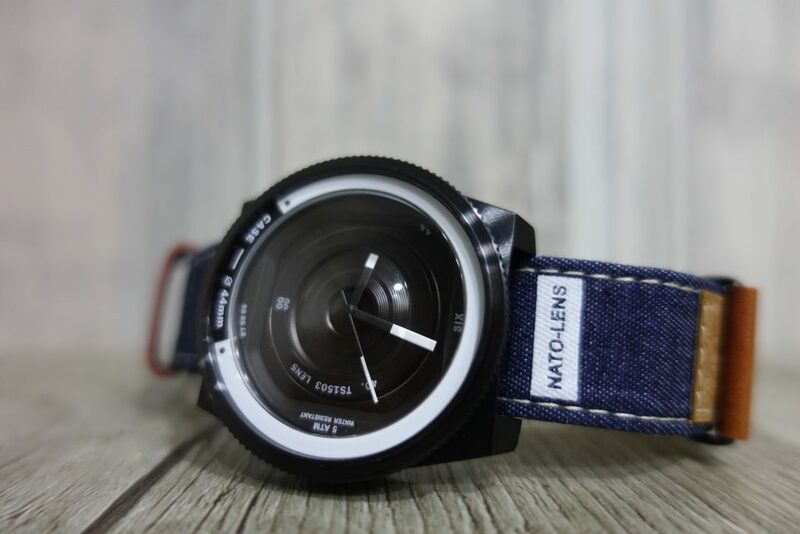 The only enhancement I could see is that the hands on the hour and minute comes with luminous. 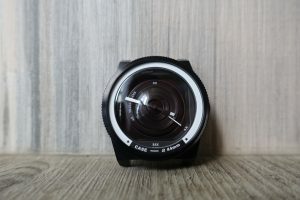 The black and white colour combination is definitely well balanced and with the bezel being more on the white side, and the dial background being more on the black. 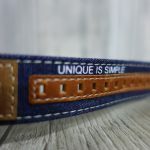 Strap : TACS have outdo themselves in this area by going full creativity and bold with the nato strap design. 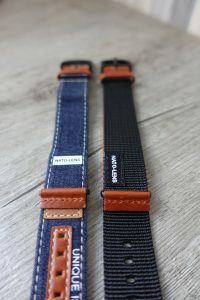 I received 2 versions of the nato strap and I was blown away by the details on ’em. Lets start off with the denim version. I really like how they added their branding tagline – “unique is simple” and “hobby time” for the model. 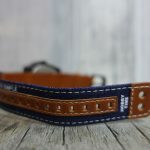 There’s also an on / off button feature on the strap at embossed on the leather. 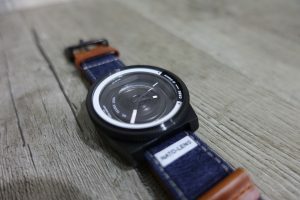 Overall, this is a really cool strap. 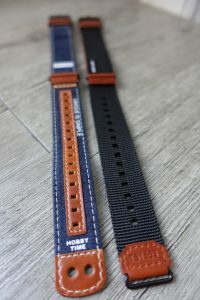 As for the black version nato strap, there wasn’t much on it, but felt as comfortable as the denim strap. Conclusion : It’s definitely cheaper than AVL and AVL2 because of the movement, but overall built and design are pretty similar. 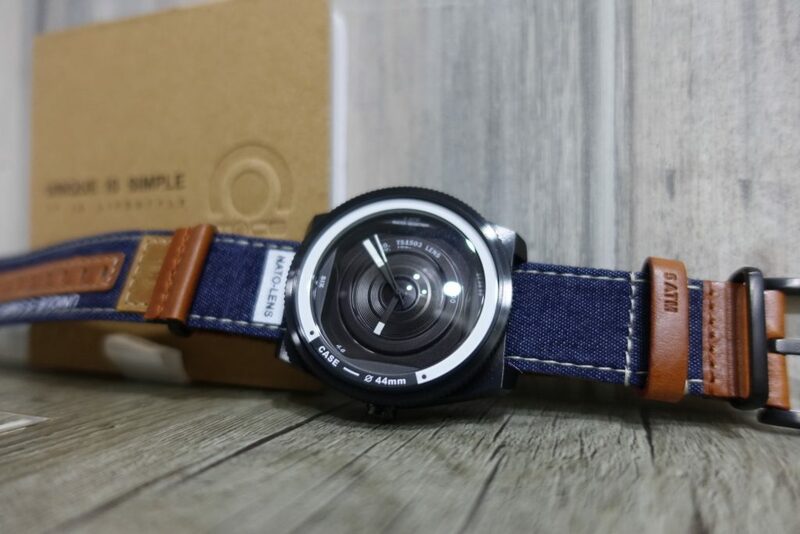 If you are on a budget (USD220), then this is the watch to go for, but if you are able to spend more (USD550) then I would suggest you to get AVL2. 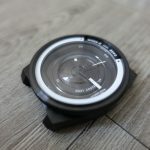 I have reviewed a few of TACS model and I can safely say that they are a brand that isn’t afraid to be different, which is not the usual in today’s microbrand and even in the luxury watch brands.